This dataset contains 9 data tables on global trends in forced displacement during the first half of 2018. The data provide stocks and flows on refugees, asylum-seekers, internally displaced persons (IDPs), returnees (refugees and IDPs), stateless persons, and other persons of concern to UNHCR. The data are presented at the national level. Year-by-year data about UNHCR's populations of concern residing in Saint Lucia. Populations of concern include refugees, asylum seekers, internally-displaced people (IDPs), returned IDPs, returned refugees, stateless people, and others of concern. Year-by-year data about UNHCR's populations of concern originating from Saint Kitts And Nevis. Populations of concern include refugees, asylum seekers, internally-displaced people (IDPs), returned IDPs, returned refugees, stateless people, and others of concern. Year-by-year data about UNHCR's populations of concern residing in Saint Kitts And Nevis. 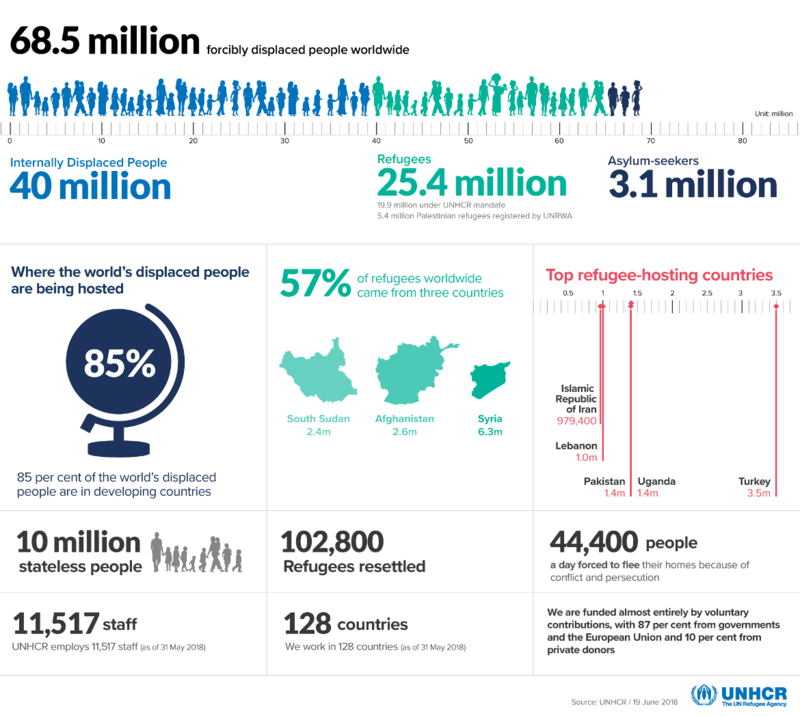 Populations of concern include refugees, asylum seekers, internally-displaced people (IDPs), returned IDPs, returned refugees, stateless people, and others of concern.